Every single day spent in Iceland gave me a unique and wonderful show. But if someone, before leaving for a short trip to this country, asked me what to see absolutely, I would have no doubt in answering to dedicate to the discovery of the southern part of the island. It is here, in fact, that it concentrates the majority of the best known attractions of all Iceland as well as the most particular ones, all at reasonable distance from each other. All this allows you to follow a simple and however extremely satisfying itinerary – without the need for climb for the mountain dirt or zigzags along the dizzying cliffs of the fjords – even in the time of a long weekend or a stopover of a few days to the United States. After a leap into the colourful Reykjavik, the Golden Circle It is – to the point of view – the first stage that comes to mind in the programming of this short Icelandic itinerary and Eyjafjallajökull – After the 2010 eruption has turned the flights on two continents for weeks – it is the least pronounced name that sounds familiar around here, but South Iceland is not just that. Along the southern coast in fact it is easy to stumble, for example, in some of the most amazing waterfalls I have ever seen, including Skógafoss, which is conveniently located along the ring. As often happens in the land of the Elves, this cascade is linked to a legend. It narrates the Navigator Thrasi, who reached the southern coast of Iceland, decided to hide his chest in a cave behind Skógafoss. of this treasure no longer knew anything for a long time, until the day when a silver ring was found that seemed to be just the key to the Thrasi. No one, however, has ever dared to challenge the waterfall to look for what is hidden behind you and the ring remains guarded in the nearby museum of Skógar. 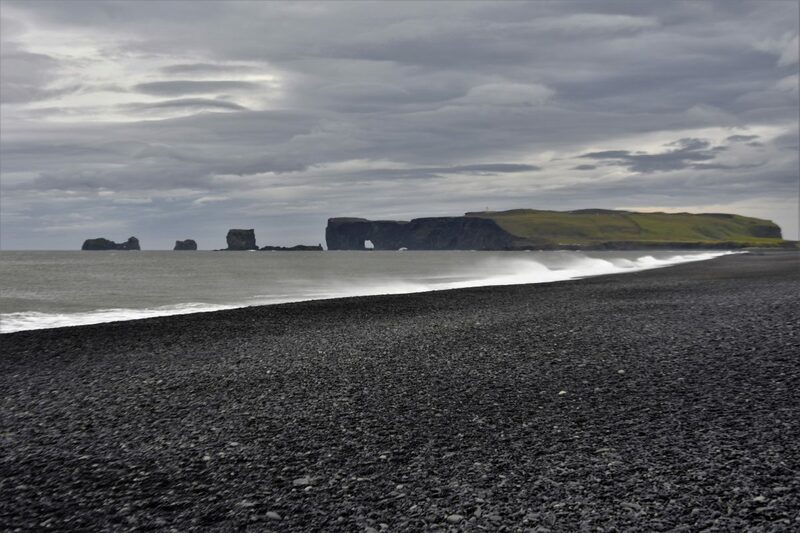 Another peculiarity of this area are the endless volcanic beaches of black sand. The most suggestive is undoubtedly Reynisfjara, near Vík, characterized by the faraglioni that emerge from the tormented waters of the ocean and the Hálsanefshellir, a cave formed by basalt columns that make it similar to a large organ dug into the rock. 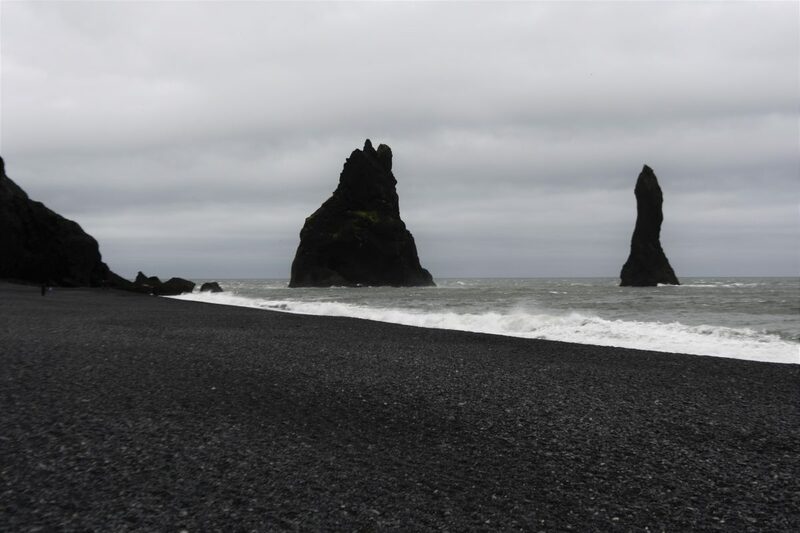 The three faraglioni of Reynisfjara respond to the name of Skessudrangur, Langhamar and Landdrangur. Here too is a legend to tell the story of this place: Two giants were trying to bring ashore a three-masted ship when they were surprised by the dawn. The sun transformed them into stone, including the ship, and then they fought helplessly the force of the ocean. About half way between Skógafoss and Vík, immersed in a scenery Wonderfully disturbing, One of the most photographed subjects of Iceland is found: the fuselage of the Douglas Super DC-3, a 4-decade American War plane is wrapped by the black sand of Sólheimasandur. The directions to get there (and the pictures) are found in this Post: The wreck is located towards the coast only 4 kilometers from the ring, but it seems that recently the owner of the land has decided to Close the entrance to the cars Following the non-observance of the invitation not to drive off the track. 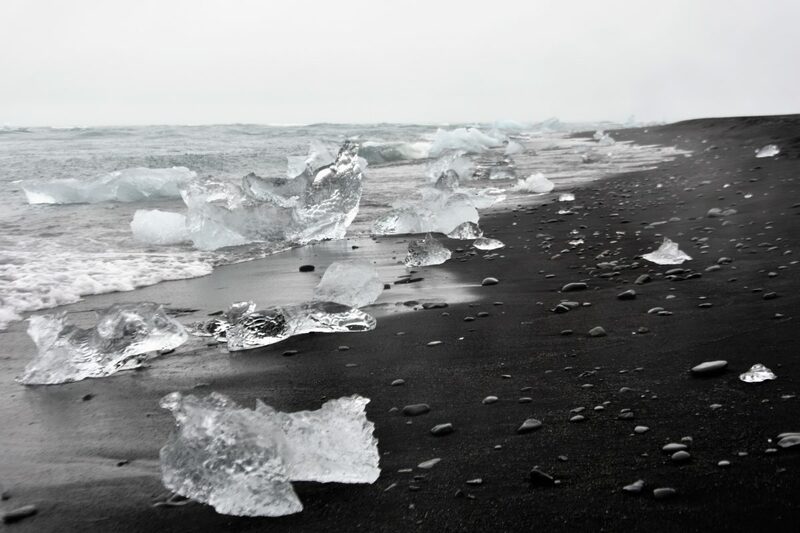 But it is still continuing eastward, still for another 200 kilometers, which is reached what I think is the most magical place of the whole island: the lagoon of Jökulsárlón. 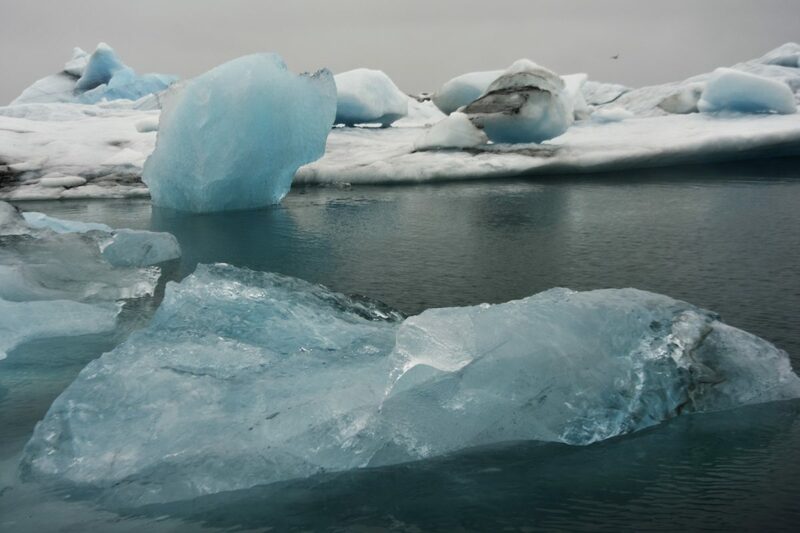 The scenario in which the icebergs move slowly in their different colors, ranging from white to black to the thousand shades of turquoise, seems to belong to an alien dimension. 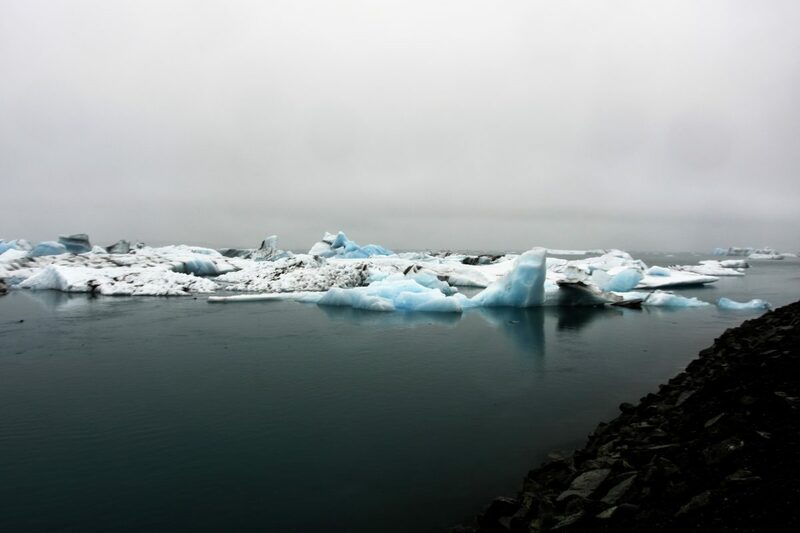 Jökulsárlón is A melancholy, sweet and inexorable dance. It is the end of a trip to the sea underlined by the quiet rattling of the glacier. It is the last greeting waiting to continue to live, but in another form. Returning instead to the east, now at the end of this short itinerary, the eye is lost once again on vast plains of lava covered by a carpet of thick and fluffy moss. 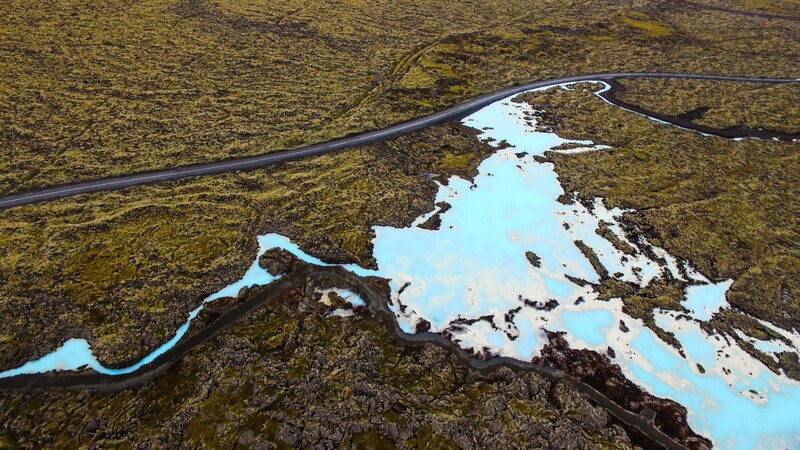 Before getting on the flight to return home, another place deserves a few hours of our time: Bláa Lónið, better known as the Blue Lagoon, another game of chromatic contrasts, another masterpiece of nature. The best way to conclude a trip, the best pampering to relieve the melancholy of the return. Along this route there are many other places that I think deserve to be seen as additional destinations based on the availability of time: you find them all in this Post.